Zofran is manufactured by pharmaceutical giant GlaxoSmithKline (GSK). In 2012 the U.S. government charged GSK with illegal marketing and to paying kickbacks to doctors to prescribe Zofran and other drugs for off-label uses. Zofran is only approved to treat nausea associated with chemotherapy, radiation, or surgery. Yet doctors – with GSK’s encouragement – prescribe it to pregnant women for nausea. GSK paid a $3 billion dollar file and plead guilty to the charges it had paid doctors to promote drugs like Zofran for off-label use. Morning sickness can be a serious illness. Up to 80% of women are thought to experience nausea and vomiting during pregnancy, and 10-15% of those women are receive drugs to prevent morning sickness. The most extreme version of morning sickness, the relentless vomiting called hyperemesis gravidarum, can put both mother and unborn child at risk from dehydration and significant weight loss. The FDA has approved one drug, Diclegis, to safely treat morning sickness. A combination of the antihistamine doxylamine succinate and vitamin B6 (pyridoxine hydrochloride), it is not associated with birth defects in the first trimester. GSK has never asked the FDA to approve Zofran for pregnancy-related nausea, and has never conducted any studies of its effectiveness or risks for pregnant women and their unborn children. The FDA has never approved Zofran for this purpose. The largest study to date, of 900,000 Danish women, was published in 2013. It found that taking Zofran doubled a woman’s risk of bearing a child with a cardiac malformation birth defect, leading to a 30% increased risk of major congenital malformations – serious birth defects. Since the 1980s, Thornton Law Firm lawyers have represented families of children injured by birth defects caused by pharmaceutical drugs such as Paxil, Prozac and other SSRIs, as well as birth defects caused by exposure to toxic substances including semiconductor chemicals, glycol ethers, pesticides, and solvents that are hazardous to reproduction. 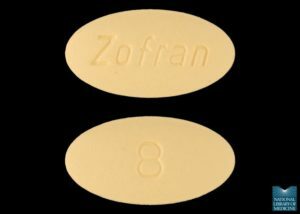 One million pregnant women take Zofran for morning sickness each year. Most morning sickness occurs in the first trimester of pregnancy, when the fetus is the most vulnerable to developing birth defects. If you took Zofran and your child was born with a birth defect you may have the right to bring a lawsuit for damages. Call the experienced birth defect team at Thornton Law Firm at 888-341-1405 or tell us your story here to receive a free, confidential evaluation of your legal rights. Like all legal claims, birth defect claims are subject to strictly enforced legal time limits. Do not delay seeking legal advice.